Validates the EU VAT ID during the checkout process, and assigns a new group to the shopper. Includes Geolocator for Joomla. This plugin offers a new shopperfield for registration. It checks for you, whether the customer is based in the EU, the validity of the given EU VAT ID, and assigns a new group to the shopper. The results of the live check are stored in your database as a proof of the check. Using Bill-To address of vendor and shopper and live validation of the tax id at VIES VAT number validation. Stores history of the results for legal compliance. 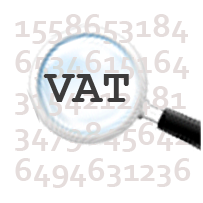 The correct prices without VAT for non-european customers can also be shown, installing the Geolocator component. In this case, the anonymous users outside of the EU are directly assigned into the shoppergroup which has not to pay tax. Notice: Please ensure that any version of Localise plugin is disabled before using the EU VAT plugin.